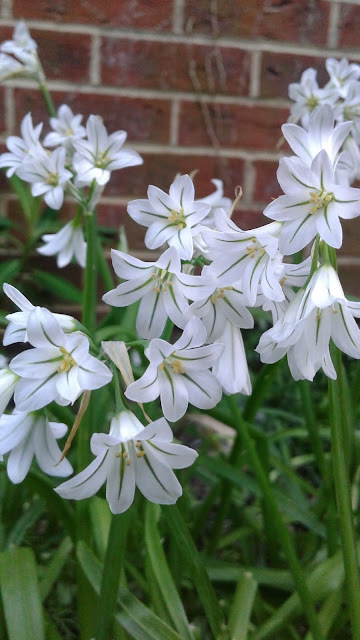 This year the wild onion plants have spread outside the backyard into the front and even the pavement! 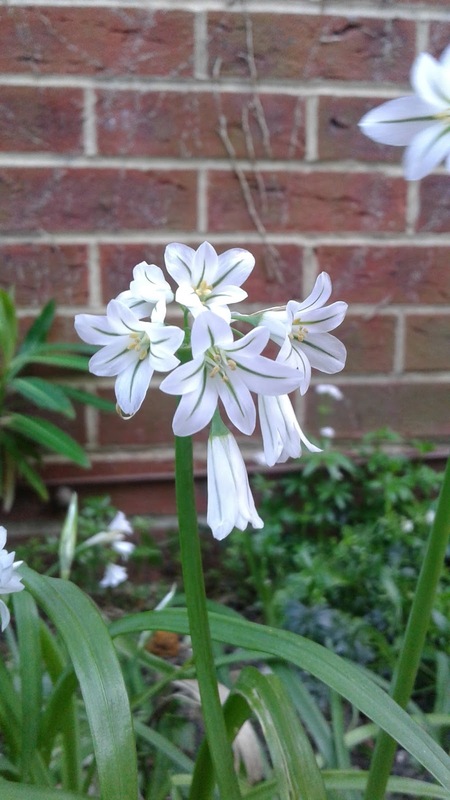 I was told that the only way to get rid of them was to uproot all the bulbs and prevent the flower from spreading the seeds - easier said than done. The same person also said, "It's one time planting and ten years of weeding!" What surprises me is that I haven't seen it anywhere else in the whole of town, except in our house! However, though a wild plant and grows mad all over the place, the flowers themselves are very beautiful. So I left some bits of the garden with them because they offered a good contrasting view of white against the brick walls.